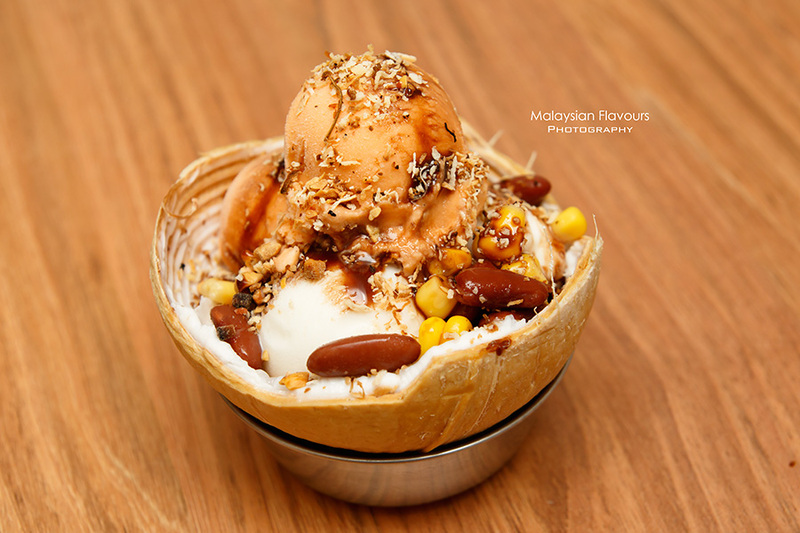 Sangkaya – a Malaysian founded creamery brand that deserves a round of applause. 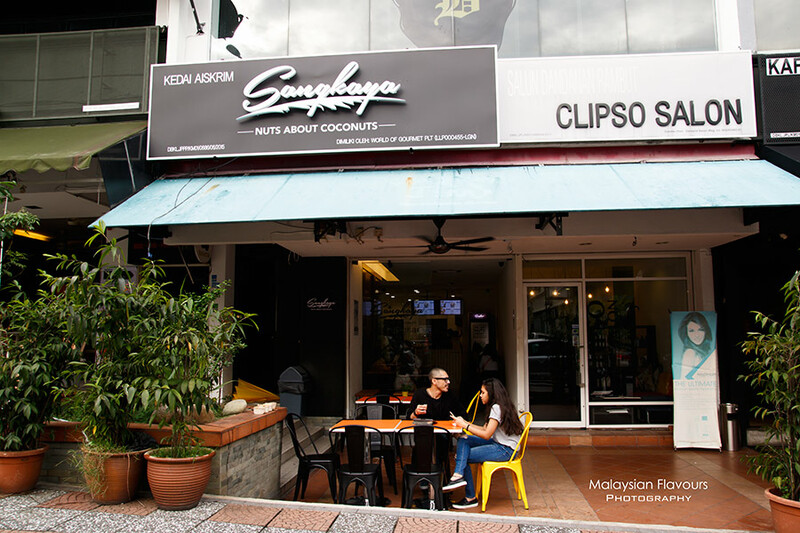 From a small stall selling coconut ice cream at Jalan Alor Bukit Bintang to a business with more than 10 physical stores across KL and PJ in short period, the potential growth of Sangkaya in artisanal ice cream industry, clearly, cannot be underestimated. Before Sangkaya opened in Malaysia, every time when we mentioned coconut ice cream, the thought would easily fly off to the famous coconut ice cream at Chatuchak Market, Bangkok, Thailand. Beating the heat by indulging into icy cold ice cream with a small cup of coconut water is just so satisfying. Many jump with joys when the news “There’s now Thailand Chatuchak-style coconut ice cream named Sangkaya serving in Jalan Alor KL” spread like wildfire. Tourists love their ice cream, and locals flock there to get their coconut ice cream craving fixed too. It doesn’t take long for Sangkaya to open their first shop, second, third, forth, fifth….tenth…eleventh…and still counting. 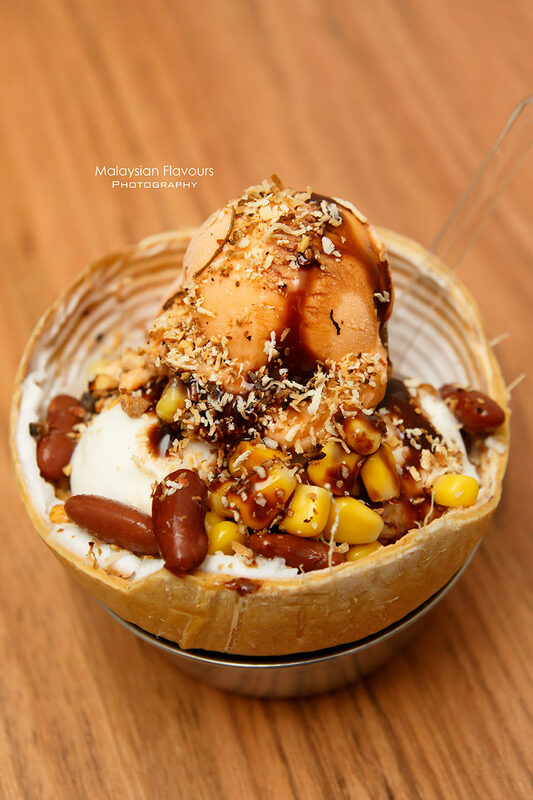 Sangkaya coconut ice cream lovers can now enjoy this dessert at different outlets, be in Bangsar, Kelana Jaya, Selayang Mall, Sunway Pyramid, IOI City Mall, Uptown Damansara, AEON Bukit Tinggi, Cyberjaya Shaftbury Avenue, SS15 Subang Jaya, or soon-to-come Sangkaya at KL Times Square, Festival City Mall and Melaka Jonker Street. Apart from premium coconut ice cream made with undiluted, fresh coconut milk, Sangkaya is now scooping also “Cha Yen” Thai iced milk tea ice cream – the brilliant idea of freezing this traditional Thai favourite drink into ice cream with natural ingredients. During our visit, staff was kind enough to allow us to have a mix of both flavours, served over halved coconut husk with fresh strips. Topped off with sweet corn, kidney beans, roasted peanuts, cereal, corn flakes, chocolate sauce and toasted coconut flakes for more bites. We personally like them “topping-less”, as the refreshing, clean, smooth original flavours of Sangkaya coconut ice cream tastes best without much “disturb” from other condiments. 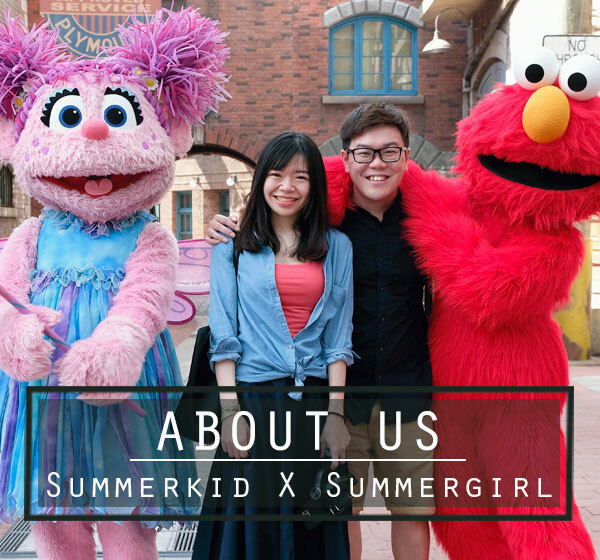 100% all-natural coconut water, coconut shake, coconut ice cream/ Thai iced tea ice cream in cup/scone are also available. Jalan Telawi 2, Bangsar Baru. I went to sangkaya at bangsar baru today,Tuesday, at 1p.m. something, but it closed. Can I know why?